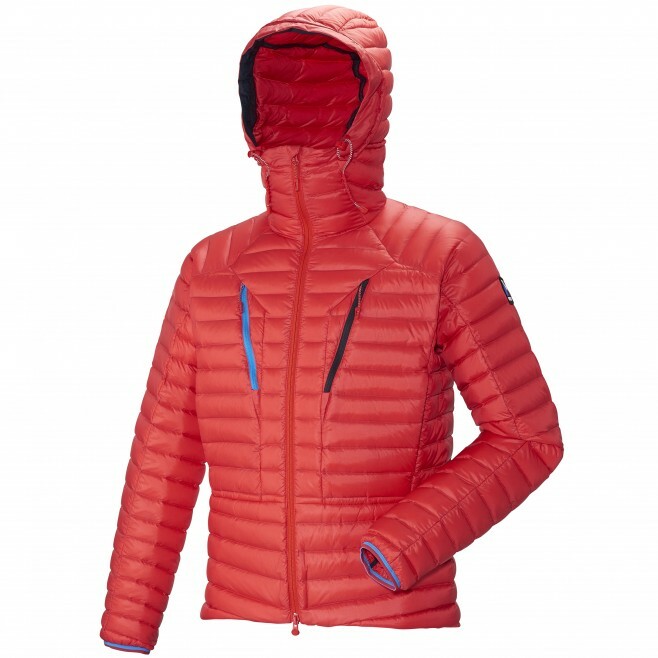 A revolutionary design in the field of down protections adapted to mountaineering, this jacket combines SYNTHESIS™ seamless construction and K DRY™ DOWN water repellency treatment for the best thermal protection in wet conditions. It creates a barrier that repels water while maintaining breathability and a continuous high thermal capacity. A double weave structure creates a seamless baffle design for the down insulation. This baffle construction eliminates fabric perforation from seams, enhancing the jacket's windproof properties. Not only does it enhance tear resistance, but it also shaves off grams and makes for more packability. An eco-design that can be worn as an insulation or as a stand-alone piece. 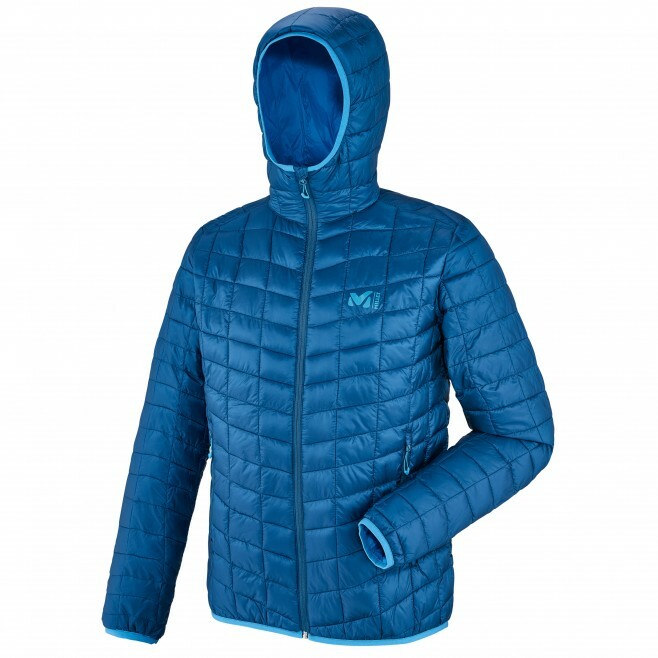 Designed for high mountain winter activities, this jacket is made of DRY MICROLOFT™ and boasts down-like thermal properties in an eco-friendly, synthetic alternative. A recycled vegetable fiber balls insulation provides continuous warmth and breathability: it traps air inside and wicks moisture away. Designed as a second layer or liner, with an ultra-light PERTEX® shell resistant to tearing, its windproof and water resistant properties will also make it work as a stand-alone, protective piece. Lightweight and packable, stow this thermal jacket inside your bag and be relax about your warmth needs during your activity.